As a parent I am always trying to find ways to incorporate fun and learning at the same time. Since my son seems to love basketball and even his homework in March has a basketball theme I decided this year we would watch some of the March college basketball tournament. I have been trying to learn more about the process of "bracketology" and must admit my bracket has been busted on the team I was rooting for. 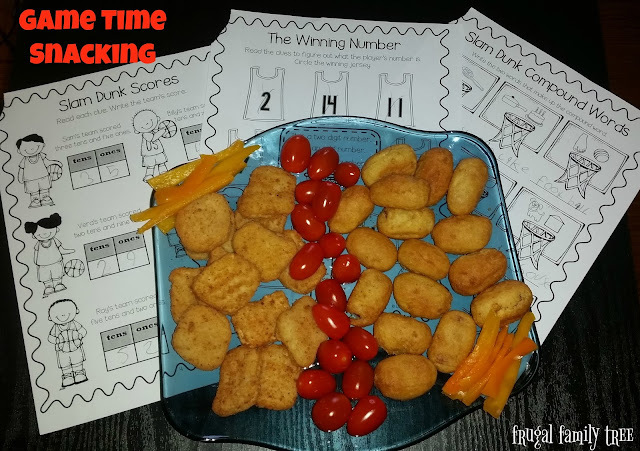 The fun still continues as my son and I are enjoying game time dunking of our own with my delicious dip recipes for our snacks. 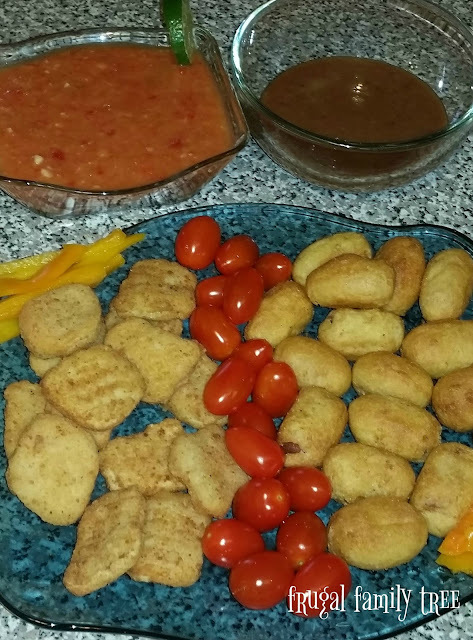 I baked Foster Farms Chicken Breast Nuggets and Mini Corn Dogs while I prepared my dips. Whisk all ingredients together in a large bowl. Cover and put in refrigerator for 1 hour. 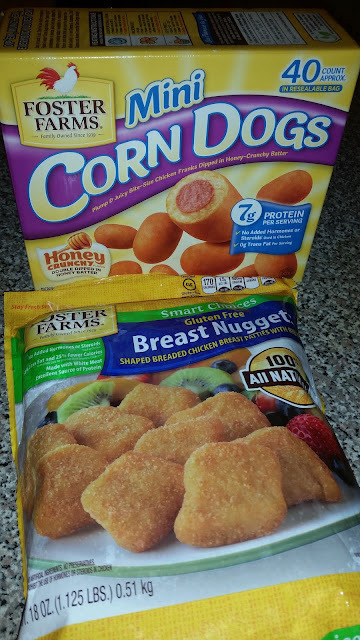 Serve with Foster Farms Mini Corn Dogs. Dice sweet red peppers and garlic. 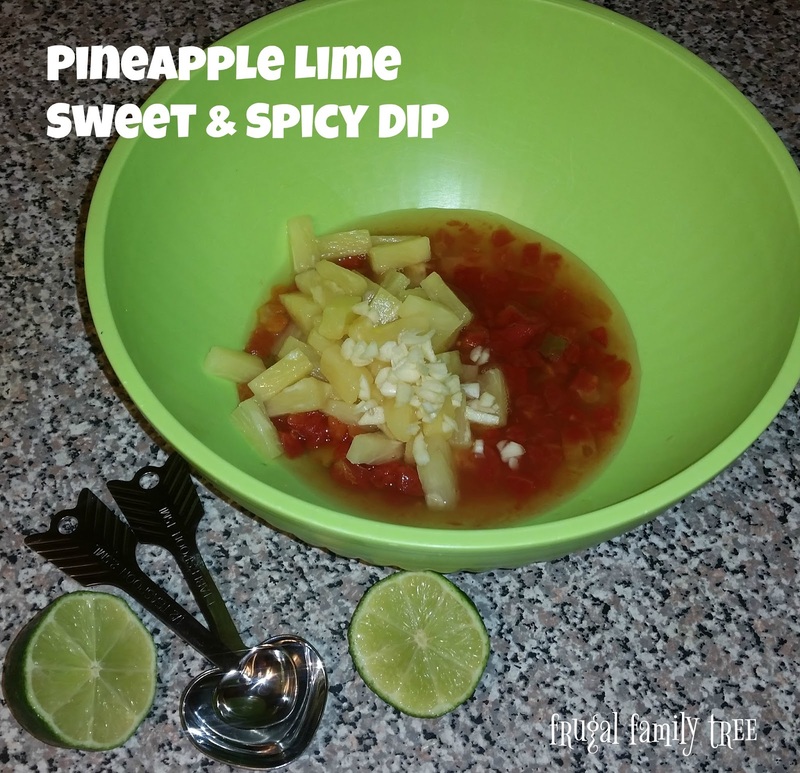 Add to bowl with diced tomatoes and pineapples with juice. Add remaining ingredients into bowl and stir until incorporated. Put all ingredients in blender on chop setting, pulse only a few times until mixture is roughly blended. Cover and set in refrigerator for 1 hour. Stir before serving with Foster Farms Breast Chicken Nuggets. While preparing to watch the basketball game my son and I tested our dunking skills with our dips and Foster Farm snacks. I included tomatoes and yellow sweet peppers to be dunked too. 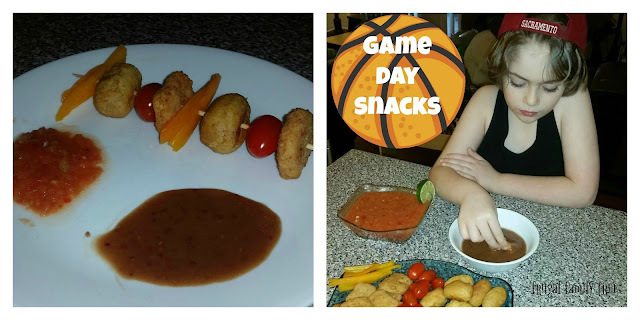 I made the snacks and veggies into kebobs served with a bit of each dip on a plate so we could sit down together and watch the game. We had fun enjoying our snacks and rooting for our favorite team in that round. What are your favorite game watching snacks and dips? I enjoy eating Foster Farms all natural chicken because it has no added hormones or steroids. Its also a convenient snack since it baked in about 20 minutes. It gives me time to prepare other items while they bake. I am hosting a giveaway for some Foster Farm free item coupons so that you can enjoy Foster Farms with your family and friends. I hope you have fun at your own home party like my family did. One winner (US Only) will win $72 in Foster Farms coupons. *Limited to US residents 18 years old and above. Giveaway starts March 31, 2017 and ends on April 7, 2017 at 12:01 am PST. Winner will be emailed and has 48 hours to respond before another winner is selected. The opinions on this item are 100% mine and may vary from others. The sponsor is responsible for providing the prize. Oh for my corndogs, I just use the ketchup and mustard. Like to swirl it around a bit and mix it up! 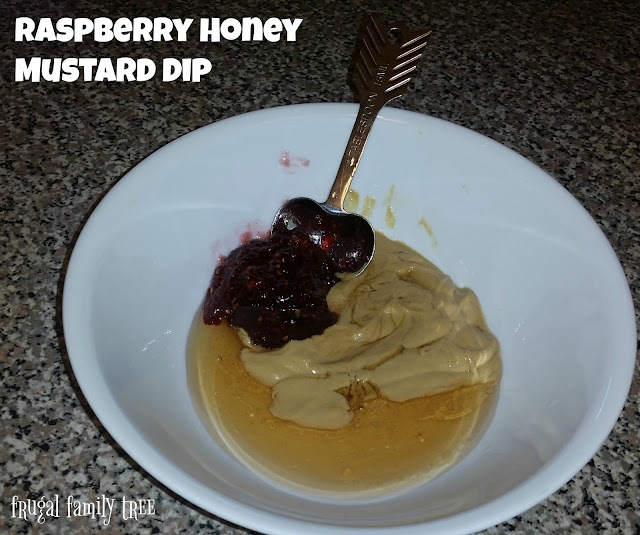 :) But..I have to say I need to try your Raspberry Honey Mustard dip! Oh that look so good! I cannot wait to change up my dips for them and try something new! For corn dogs I just like plain old mustaed, bit for things like chips, I like cheddar cheese sauce with jalapenos mixed in.